'Rough music' is the old English name for a custom of public scapegoating. 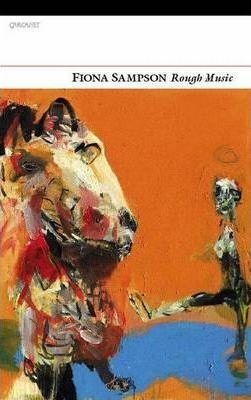 This is a book full of disturbing musical echoes, in which brilliant renewals of carol, charm, folksong and ballad explore themes of violence, loss and belonging. Fiona Sampson's characteristic lyric intensity deftly fuses metaphysics and politics with the vernacular of daily life. Fiona Sampson has published fourteen books - including poetry, philosophy of language and studies of writing process - of which the most recent are The Distance Between Us (Seren, 2005) and Writing: Self and Reflexivity (with Celia Hunt; Macmillan, 2005). She has been widely translated, with eight books in translation including Patuvachki Dnevnik (Travel Diary), awarded the Zlaten Prsten (Macedonia). She has received the Newdigate Prize, writers' awards from the Arts Councils of England and Wales and the Society of Authors and, in, the United States, the Literary Review's Charles Angoff Award. 'Trumpeldor Beach' was shortlisted for the 2006 Forward Prize for best single poem. She was educated at the Universities of Oxford and Nijmegen and has a PhD in the philosophy of language. She was Arts and Humanities Research Council Research Fellow at Oxford Brookes University from 2002-2005. Fiona Sampson is internationally recognised for her pioneering residencies in health care and contributes to the Guardian, the Irish Times and other publications. Her translations include Jaan Kaplinski, an anthology of younger Central European poets, and Orient Express, of which she was founding editor. She is the editor of Poetry Review.